St Ives in Cornwall is very special to me. Yes, it was and still is very arty, but St Ives is the place where I planned my wedding sitting on the harbour beach. It was October, so not warm and I had a coffee and a crepe (and a future husband) to keep me company. The Dolly P was (and still is) doing its daily boat trips to show people the seals and the Lifeboat Station was having a well earned rest after the previous night’s rescue. The coffee was Segafredo and the crepe was lemon and sugar – both from Pels. 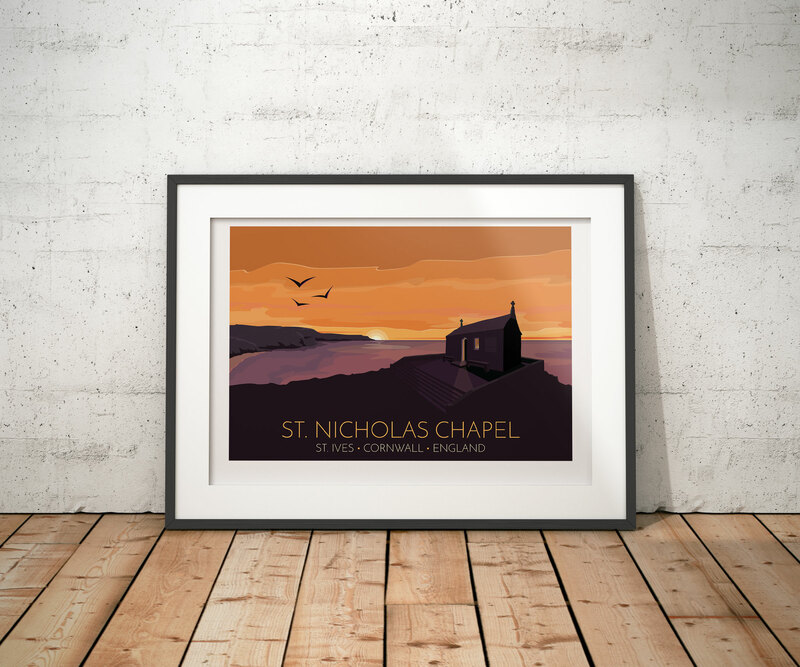 But it is the view from St Nicholas Chapel that draws me in time after time. It’s a short climb from the town and you can stop off at the Coastguards Station on the way to catch your breath. The views from the chapel are magnificent. Looking over the hill is Porthmeor Beach where the surfers seamlessly manage their lives around the tide tables. Looking back inland you can see St Ives town, Carbis Bay, Gwithian and beyond. However it is the view westward that does it for me. The sea. I love gazing out at an empty horizon. My imagination comes alive. I feel anything is possible. 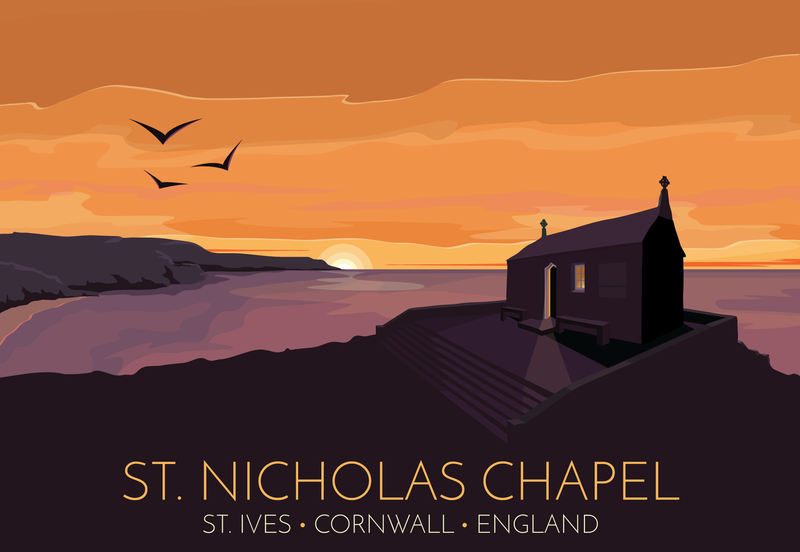 So this is my St Ives, my happy place – the view from St Nicholas Chapel at sunset. Prints available on Etsy as always. Next post: Creating just for the fun of it.